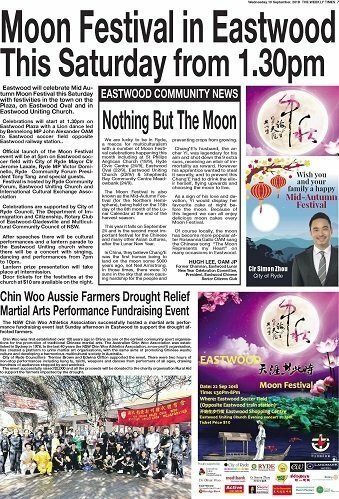 Eastwood will celebrate the Mid Autumn Moon Festival this Saturday with festivities in the town on the Plaza, on Eastwood Oval and in Eastwood Uniting Church. Celebrations will start at 1.30pm on Eastwood Plaza with a Lion dance led by Bennelong MP John Alexander OAM to Eastwood Oval, opposite Eastwood railway station. 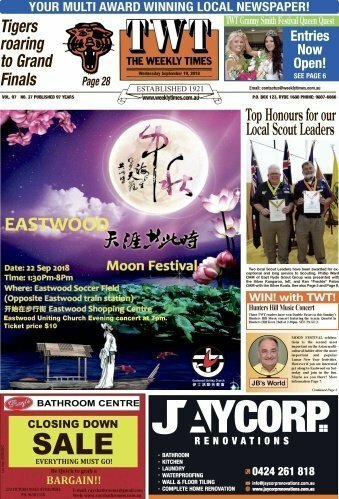 The Official launch of the Moon Festival event will be at 5pm on Eastwood Oval with City of Ryde Mayor Jerome Laxale, Ryde MP Victor Dominello, Ryde Community Forum President Tony Tang and special guests. The festival is hosted by Ryde Community Forum, Eastwood Uniting Church and the International Cultural Exchange Association. 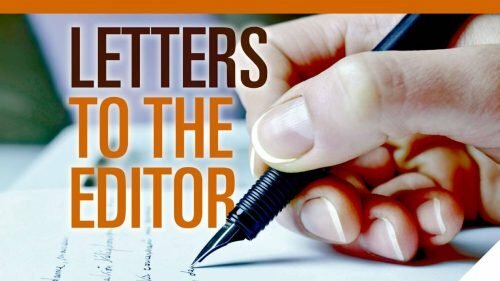 Celebrations are supported by City of Ryde Council, the Department of Immigration and Citizenship, the Rotary Club of Eastwood-Gladesville and the Multicultural Community Council of NSW. After speeches there will be cultural performances and a lantern parade to the Eastwood Uniting church where there will be a concert with singing, dancing and performances from 7pm to 10pm. A Lantern prize presentation will take place during the intermission. Tickets for the festivities at the church are $10 and available on the night.